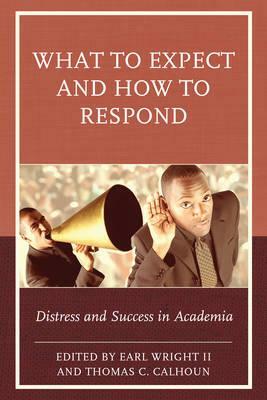 What to Expect and How to Respond offers a solutions oriented glimpse into life in academia from the vantage point of groups including students, faculty and administrators. This interdisciplinary anthology provides insight into the profession for graduate students planning on becoming academics; brings to the attention of junior faculty potential tenure and promotion pitfalls as well as strategies to successfully overcome potential obstacles; offers senior faculty strategies to improve collegiality and the workplace environment; and provides administrators with tools to proactively and effectively contend with sensitive managerial matters. This interdisciplinary anthology is useful for undergraduate and graduate students of any discipline designed to prepare them for a career in academia whether as staff, faculty or an administrator. Moreover, this volume is a fine resource for those already in academia who may be experiencing any one or number of specific challenges highlighted from which useful survival strategies could be garnered.